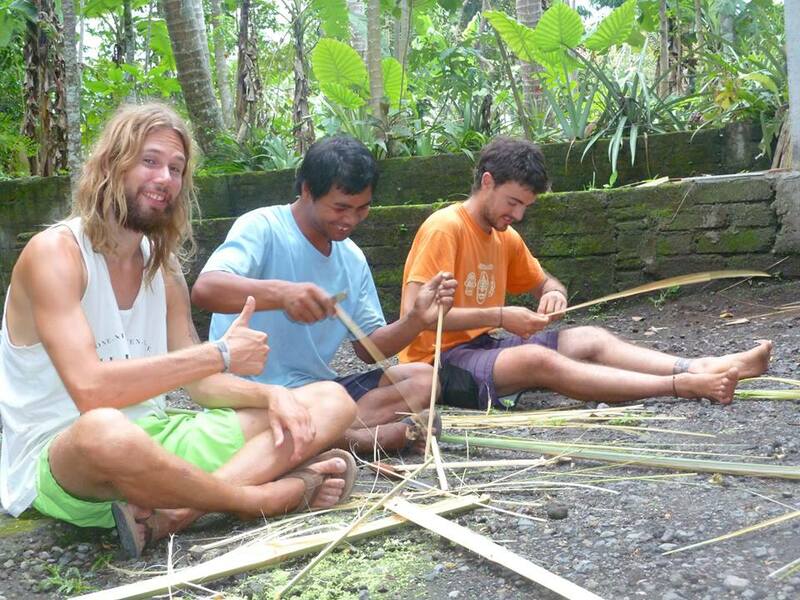 It is absolutely amazing how people from all over the world are coming together at Jiwa Damai, in the heart of Bali! 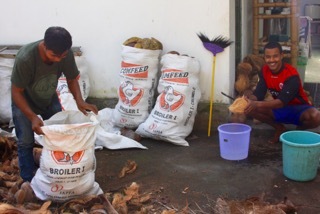 Kadek, one of our Balinese Team member is picking and packing the shells left after opening the coconuts in bags. We use them in our gardens or we sell them. Tyron is opening the kernel of the coconut and Sabine our Austrian Yoga teacher is harvesting the precious water which makes a most nutrient rich drink. 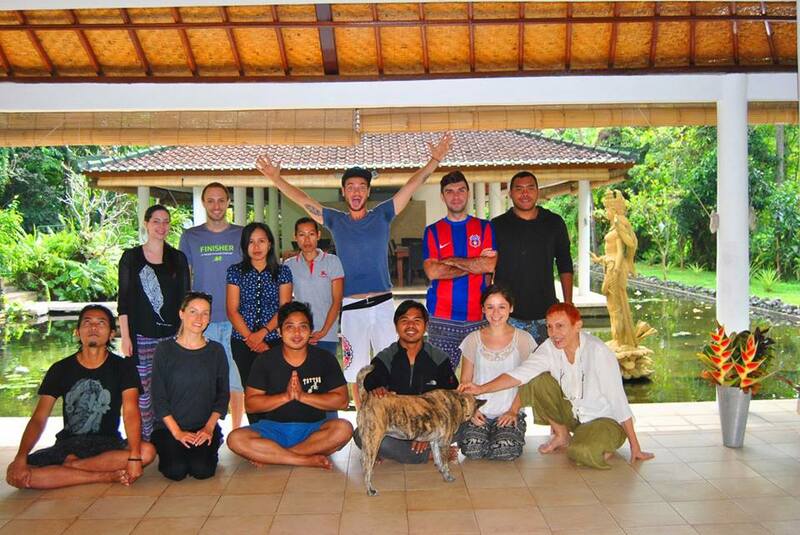 Jiwa Damai offers it Balinese and Indonesian Team English classes during their lunch break. Here you see Sabine, our volunteer teaching an enthusiastic student body. This class is for English beginners, we also offer one for a bit more advanced students. No matter how far, how hot or how different it may be from where you usually celebrate it, as soon as the last week of the year approaches you start longing for Christmas. 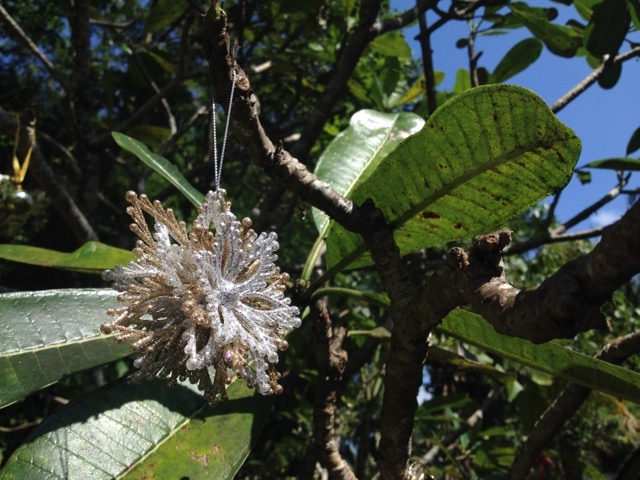 So even if you are in the tropical parts of the planet, as we are here, at Jiwa Damai, in sunny Bali, there are still things you can do to calm that wish of a white Christmas. But since we’re pretty short on snow and Christmas trees, we’ve got our decorations on another beautiful tree, just close to the place we’ll have our Christmas dinner, almost as, or even better than in a colder climate. Christmas it’s great in itself, who said you have to be freezing to enjoy it! 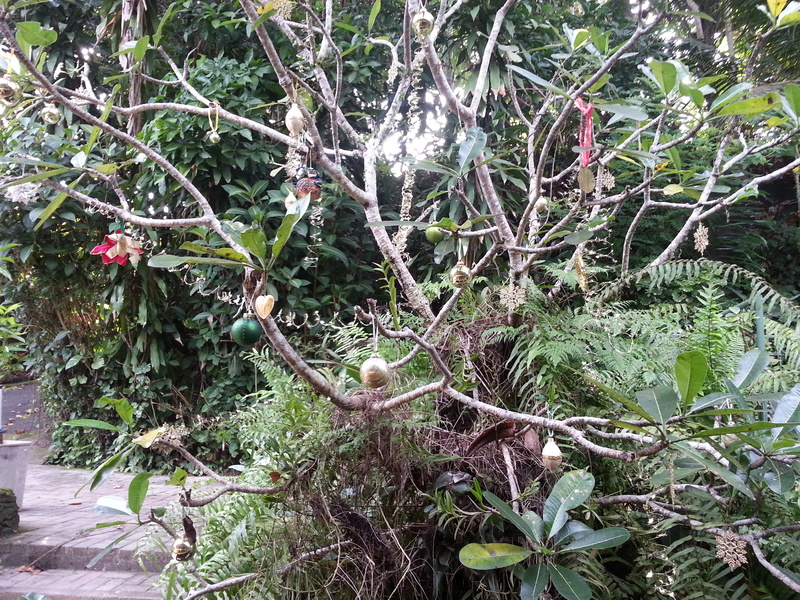 But we are in Bali and each year we also celebrate the Galungan – Kuningan. 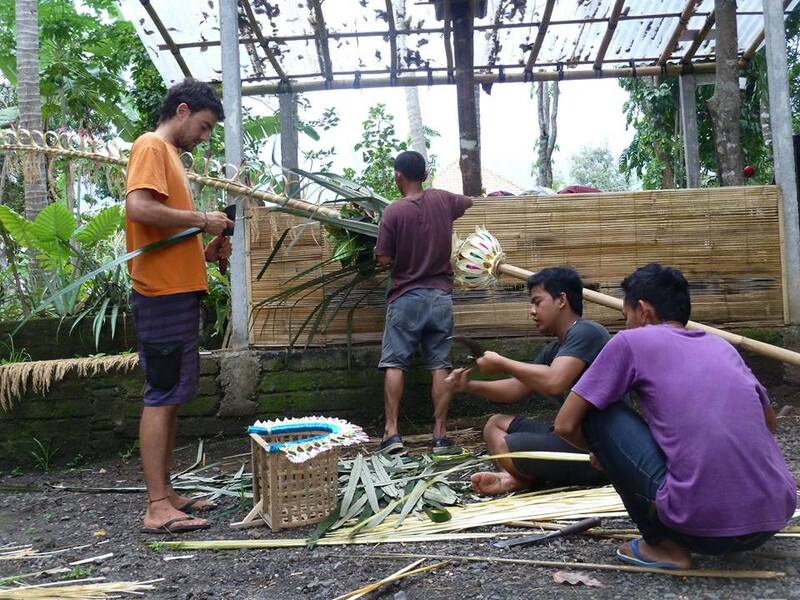 Therefore, our interns, volunteers and staff have prepared also a Balinese Penjor. Here are some pictures. Find out more about the Balinese celebration here.